People come to ride the Dragon for lots of different reasons: some to test their skills, others for the adventure, and some because they were talked into it by friends (they didn’t want to look bad so they agreed). I came simply because my buddy Jeff told me to. Nah, not really. In fact, he tried to scare me out of it with tales of death and injury and the Tree of Shame, the place where recovered broken helmets, scudded and shredded leather and twisted motorcycle parts live out their days like horrible Christmas ornaments, providing a visual and visceral warning to the overconfident or overbuzzed (adrenalin, drug or alcohol high). At Deal’s Gap, North Carolina we paid our respects to the Tree of Shame. Walking around it were riders of all ages: young riders thinking “that would never be me”, older men lamenting “but for the grace of the God there go I” and middle agers opining “that helmet looks exactly like mine”. Also located there is a combination motel, restaurant, pub and shop ( “I survived the dragon” tee shirts) along with a parking lot filled with bikers, some in groups, some couples and some riding solo. There were mostly Harleys and BMW’s, a right many Honda’s and Kawasakis, a few Victorys and Ducatis, a lone KTM and a there was a tall guy riding on a miniature bike (not sold separately). Folks were friendly but more subdued, less vocal, more serious and sober than at other gatherings of bikers I’d been to. For good reason. Regardless of your skill level, a two lane road of 11 miles with 318 curves is still a tremendous challenge especially when the oncoming (or overpassing) traffic can be filled with daredevils and knuckleheads (And I mean that in the nicest way possible!) violating your sacred space. There are 1-2 deaths a year on the Tail of the Dragon and crashes are a daily feature. The advice is clear: know how and where to position yourself in the lane for curves, pick your line through the curve, don’t look at the obstacles you want to miss (e.g. the side of the road, the car coming in the other lane) but instead look where you want the bike to go, don’t cross the yellow line, use brakes as little as possible, ride your own ride, at your own pace , don’t try to catch up with others, don’t look at the views, stay focused and don’t panic. And if you don’t know what all of these mean or how to do them you shouldn’t be riding the Dragon or anywhere else with curvy roads. You get extra points if you know how and when to do counter steering. And going very slow won’t guarantee your safety. We met two people at our motel who crashed the same day we rode. One told us he was only going 20-25 mph. He was pretty well banged up with suspected broken ribs and definitely a fractured ego. Off we went. The curves were tight, blind, and there were plenty of switchbacks. As soon as you came out of one curve you were into another. Curves going uphill and downhill. “S” curves. Switchbacks. There’s little shoulder to the road and steep drop offs. But frankly I found the road easier than I had anticipated. Challenging yes, fun absolutely, but not frightening. 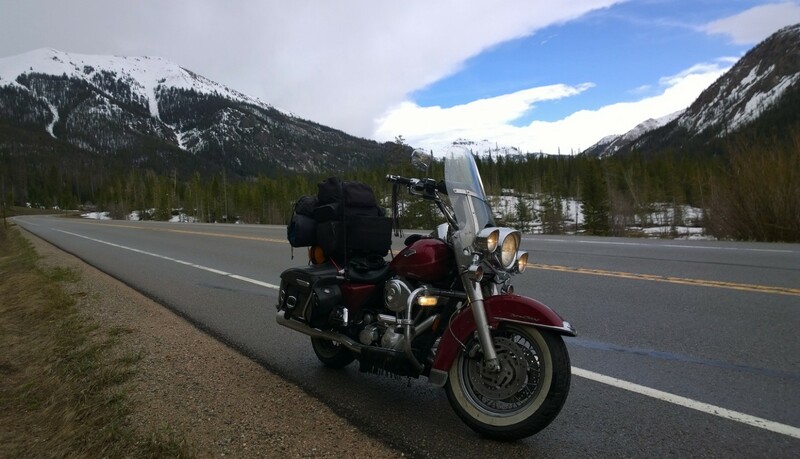 (Of course, I’ve been cross country twice on my motorcycle and have worked on the skills I mentioned above after nearly crashing two years ago in the North Georgia mountains). I got into a nice rhythm, kept breathing, kept my eyes on the road ahead, didn’t panic, stayed focused and just enjoyed the ride. I managed to stay centered (in more ways than one) and didn’t cross the yellow center lines or the white side ones. Jeff and I rode between 30-40 mph and a few folks zoomed past us. We stopped at the top at an overlook and chatted with car drivers and other bikers. The view was magnificent, rolling hills covered with trees, some already intimating that autumn was coming. Then we rode back through it again, bought our Dragon tee shirts and headed back to the motel to hear the stories about success and crashes. The next day we did the Cherohala Skyway a 36 mile, two lane, mile high skyway between Robbinsville NC. and Tellico Plains, TN. A wide, well maintained road with wide curves and great vistas and overlooks. We rode through two national forests, the Cherokee and the Nantahala and coming near to Tellico a white water river hummed alongside of us. The ride was hauntingly beautiful, the views spectacular and some of the curves were as challenging as the Dragon’s. Except, apparently for the two Ducati’s who rocketed past us. At the end of the skyway we stopped at ate some fine food at Tellico Grains and then headed home. The four lane past Blue Ridge and Ellijay was straight and fast and provided a chance to let go of the intensity of concentration I had built up. I caught myself praying and giving thanks, for the beauty of the ride, the gift of family and friends, even the grim reminders of mortality we had ridden through. But I especially gave thanks that neither a part of me nor Jeff, nor Big Red, ended up hanging on that old Tree of Shame. This time. Thus ends the Tale of the Tail of the Dragon. 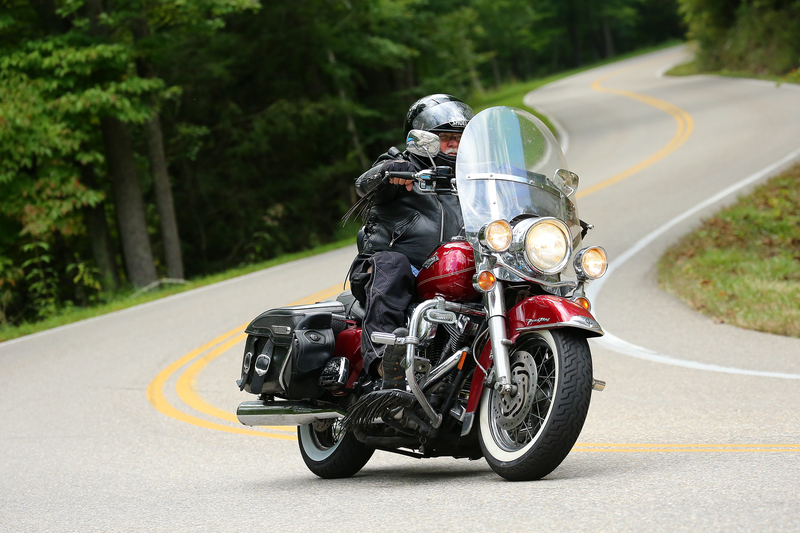 ← Tale of the Tail of the Dragon – Part One.